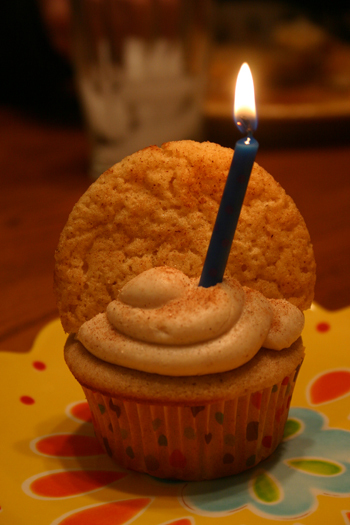 Dinah's Dishes – Snicker-doodle Cupcakes & a Birthday! 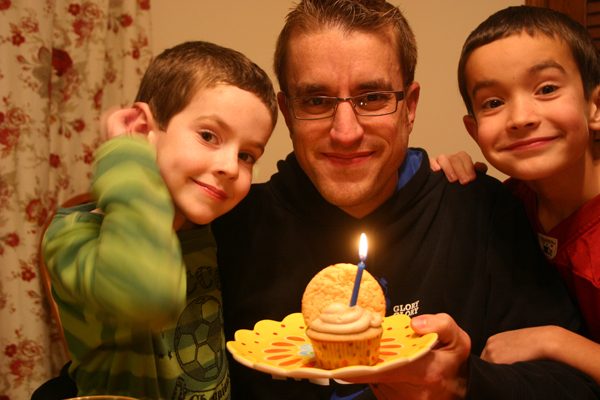 Snicker-doodle Cupcakes & a Birthday! Home » Cupcakes » Snicker-doodle Cupcakes & a Birthday! I want to wish my wonderful husband a Happy Birthday! My husband is the best. Not only is he my sous-chef, but he is also my best friend. When it is birthday time at our house, the one with the birthday gets to select the cake or dessert of their choice. Well Jeffrey likes to be obstinate and makes me choose what to make. After searching and searching, I finally came across a recipe that I thought he would enjoy. This task is a rather hard for me because I don’t like to put my own preferences in play when trying to choose for him. I think this year I succeeded. He loved the cupcakes I made! I wasn’t disappointed either, but I think I really hit a flavor mix that was to his preference. I also think they are visually adorable. Can a cupcake be adorable? I guess so. Regardless they are cute and delicious. You will not be disappointed! I am going to confess that I somewhat cheated on my frosting. I made a single batch of my favorite butter-cream with the addition of cinnamon, but needed a batch and a half of the frosting. So instead of waiting until my butter was softened to make more frosting, I added half of a can of vanilla frosting that I had in the pantry. I really liked the way it turned out. So I guess in a pinch you could easily get a couple cans of vanilla frosting and add cinnamon to them if you didn’t want to make frosting from scratch or you didn’t have time to soften your butter as was my case. Since I did add the vanilla frosting to my homemade butter-cream, I am putting that in my instructions instead of just doubling the butter-cream. By the way, if you work with my husband, he has a limited quantity of cupcakes. Go find him before they are gone! What would you pick if you were picking for your birthday? The boys pose with their Papa and the cupcake. The cupcake didn't last very long after this picture was taken. Preheat oven to 350° F. Line your cupcake pans with paper liners. 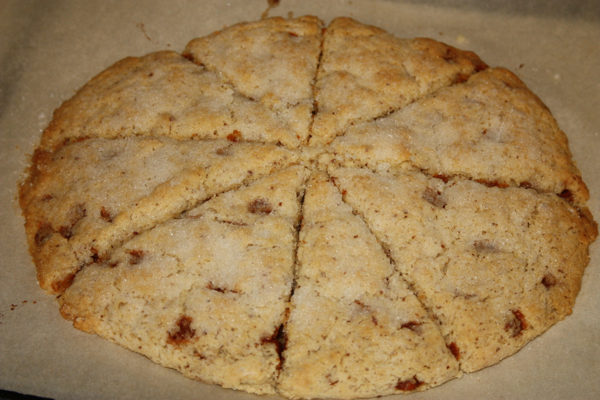 Combine flour, cake flour, baking powder, salt, and cinnamon in a medium bowl, whisking to combine. In the bowl of a stand mixer, beat the butter and sugar together on medium-high speed for about 3 minutes. (They will become light and fluffy.) Add the eggs one at a time, mixing well after each addition. After the eggs have been beaten, add vanilla. Add 1/3 of the dry ingredients to you stand mixer and mix at low speed just until incorporated. Next add 1/2 of the milk, mix on low to incorporate. Add another third of the dry ingredients to the mixture and mix at low speed until incorporated. Add remaining milk and mix until incorporated, and then add remaining dry ingredients and mix until they are incorporated. Divide the batter evenly between the prepared cupcake pans, filling each liner three-quarters full. Bake for 15 minutes, rotating pans halfway through to insure even baking. Allow to cool in the pans about 5 minutes before transferring to a wire rack to cool completely. Beat butter until light and fluffy. 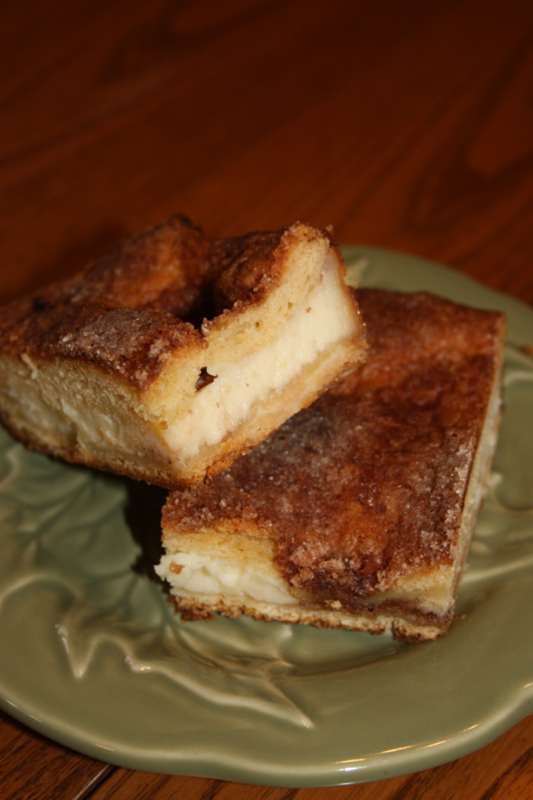 Add powdered sugar, milk, vanilla, and cinnamon beating until well combined. You will need to scrap the sides of the bowl occasionally to make sure everything is incorporated properly. Now fold in the canned vanilla frosting. Frost the cupcakes as desired. Making a wish. Even at his age he should be able to manage one candle! 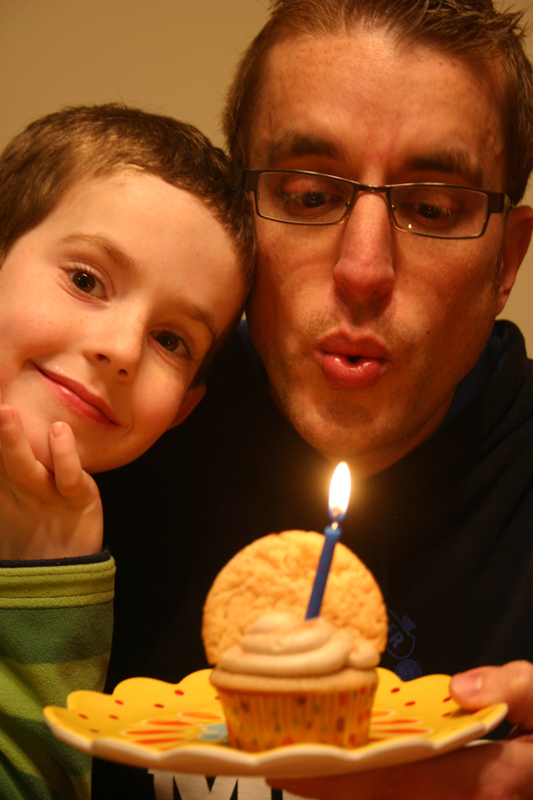 3 Comments on "Snicker-doodle Cupcakes & a Birthday!" I’m going to give these a try for Grant’s birthday! 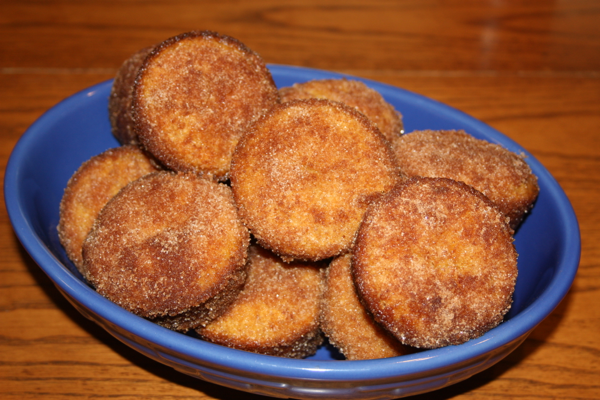 He loves snickerdoodles and these look yummy. Last year I experimented for my mom’s birthday and made chocolate chip cupcakes – I added mini choc chips to a white cake mix and then frosted them with chocolate frosting – yummy! My personal favorite is either white cake with choc frosting or rainbow chip cake & rainbow chip frosting. Looks so yummy!!! I am going to have to give these a try. Happy Birthday Jeff!!! Great pics!!! !